Office’s message at Build was loud and clear: Office is an open market for developers who want to reinvent productivity, backed by a consumer base of 1.2 billion users. 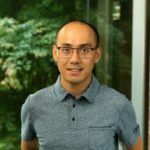 Qi Lu welcomed developers to the Office ecosystem in his Build keynote, and showcased new robust extensibility features that enable you to create custom experiences in Office that look and feel native. A new wave of excitement and growth is sweeping through the Office ecosystem, and there is no better time to be an Office developer. And no better tool than Visual Studio to get started! As a Visual Studio user, you can get started right away and take advantage of all the new Office extensibility goodness inside the IDE. We are also pleased to announce Preview 2 of Microsoft Office Developer Tools for Visual Studio 2015. Preview 2 adds the support for SharePoint 2016 solutions and add-in development in Visual Studio 2015, on top of the new features available in Update 2 of Office Developer Tools. For Visual Studio “15,” SharePoint 2016 support is available by default when you install Office Developer Tools. Now let’s take a closer look at how the Office Developer Tools optimize getting started with add-in development. We found that most developers start an add-in project with the goal of creating a customized experience inside a single Office application. This insight led us to simplify the flow of creating a new Office add-in project inside Visual Studio. In the New Project dialog, you will now see new add-in templates specific to an Office application (Excel, Word, Outlook, or PowerPoint). These templates highlight the choice of the add-in’s Office host as the first and only step you need to take to get started with add-in development. With the new templates, you can create add-ins that add new functionality to an Office host. You can build task pane add-ins or use add-in commands to create buttons in the Office ribbon. With the Excel and PowerPoint templates, you can also create content add-ins, which embed interactive objects such as maps or data visualizations into the document itself. You will be presented with the option when you create the add-in project. Each host-specific add-in template now has simpler project structure and great starter code that showcases the new Office extensibility features such as add-in commands, Fabric UI, and enriched host-specific Office.js APIs. If you want to try out the new features, you can just press F5 and run the starter code in the project to see what it looks like, without changing a single line of code. Let’s walk through what you’ll see when you run the starter code in an Excel Add-in template. The first thing you’ll notice is that your add-in project appears as a button in the Excel application’s ribbon. The Office ribbon is a new extension point made available through add-in commands. One thing to note here is that add-in commands are not available in Office 2013 or Office 2016 builds earlier than version 16.0.6769.0000, with the exception of Outlook. But there’s no need to worry about having to create separate add-ins depending on the Office version. The sample manifest in the starter code shows you how to make a single add-in compatible with all Office versions by lighting up add-in command features in Office 2016 and falling back to task pane behavior for older versions. Looking through the starter code, you may also wonder where the UI of the add-in is designed, since the Home.css file has nothing in it. Instead, the code uses Fabric UI, which is Office’s UI framework that you can use to design add-ins that look and feel like Office. You no longer have to write custom css to make your add-in look like a part of Office. The sample also introduces how to utilize Office’s enriched Office.js APIs specific to Office applications, which enable developers to build add-ins that deeply influence application-specific workflows. The simple example you will see in the starter code is using the APIs to load sample data for the add-in into the Excel spreadsheet, and to highlight the highest value from the range of cells you select. Again, some older versions of Office do not support the new version of the APIs. As you can see below, the starter code illustrates how to create fallback logic for older versions of Office so that this single add-in is compatible with all Office versions. The other templates for Word, Outlook, and PowerPoint add-ins have starter code that features slightly different tasks applicable to each application. Last but not least! 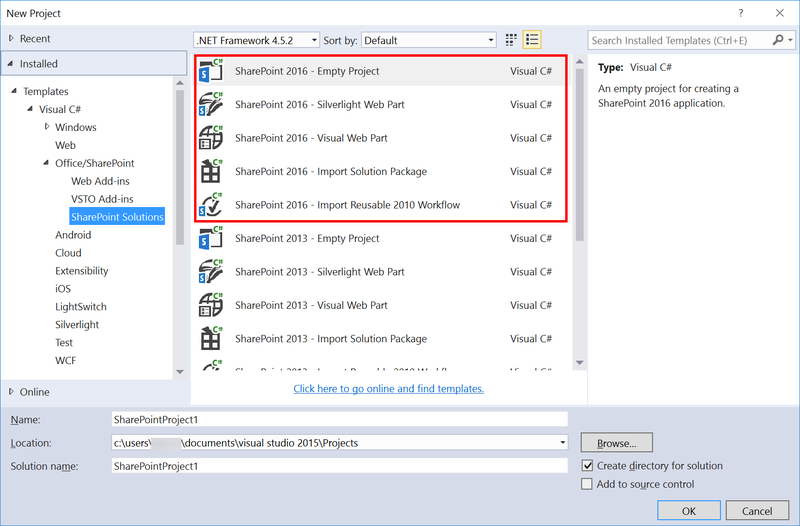 Visual Studio “15” Preview and Microsoft Office Developer Tools Preview 2 for Visual Studio 2015 include new templates for developing SharePoint 2016 solutions and add-ins. Please note that to develop SharePoint solutions, you need to have SharePoint Server 2016. It’s an exciting time to be an Office developer, and we want to ensure you have the best tools to get started. We would love to hear any feedback you have or issues you run into with the updates for Office Developer Tools. Please use Visual Studio’s Report a Problem feature to send us suggestions or bugs. You can start using the new Office extensibility features once you install or update to the latest version of Office 2016. Please note that for the older Office 2016 versions, you need to take some additional steps to enable F5 debugging of projects with add-in commands. Please refer to this samples site to get more information. If you would like to keep on top of the latest updates on Office and get access to Office builds that even include developer features in Preview, you can enroll in the Office Insiders Program by following the links below. @Ji_Eun__KwonJi Eun Kwon is the program manager for Developer Tools for Office and SharePoint. She joined Microsoft in 2013 and has since been focusing on developer experiences inside Visual Studio. Prior to owning the Office Developer Tools, she worked on Visual Studio’s identity and licensing experiences.